Breaking News: Word-Love is Alive & Well in a Soon-to-Be Re-Released Classic. Be Still My Heart. I take note when something literary makes breaking news worldwide. It excites me. It proves some people care about reading, they care about content, they care about wordcraft not just reading about making money or how to do this or that fast within this many days with killer this or jealously guarded that. The fact I just swirled my hair into a bun and bobby pinned it into place. No flowing, long hair getting in the way of me typing something about intellectual stuff making news.Yes: I am getting serious about this topic. It is in the New York Times, Time Magazine, the Huffington Post, MSN and Legal News. In the Telegraph, it is one of the top five stories read today. I sighed, though, when I saw the #3 story read was “Mark Wahlberg: 'Ted is going to offend more people than Family Guy” but I have to believe, I simply must believe this literary story will last longer than that one. Are you ready? Ernest Hemingway wrote forty seven different endings for A Farewell to Arms and in a new edition, each ending will be shared with readers. Anyone remotely curious about the man, his life, and his writing will want to read it. For me, as a writer today, I want to compare and be curious about what made him choose this ending over number sixteen ending or number thirty two ending? This makes me want to sit and watch Midnight in Paris over and over again while reading each of the endings aloud with my literary and not-so-literary-yet friends. It sounds like a writing-nerd fest, doesn’t it? I like to think of it as a Word-LOVE fest. That we, as writers, have the power to elect as many endings as we choose, and ultimately trust our best judgment to be done and we feel we are done. Usually I write about women literary figures, but more and more I am reminded I need to be balanced. I need to feature the great men who got much of their inspiration from the great women who surrounded them. This inspires me as I hope it inspires you, too. This is my Ultimate Blog Challenge Writing for the Day. Be watching for my challenge posts which will include Writing Prompts, Writing Tips and General Life Tips and Essays. This is Blog 5/31 for July! #ROW80 Round 3 Check In #1: Row, Row, Row again (not so) Gently Down the (Word-love) Stream! I fizzled in Round Two after April. I am not sure what was up with me except perhaps a combination of things, but I just wasn’t feeling it so I tried to post some in May and then in June… threw up my hands in silence and since nobody noticed I figured, what the hell. I’ll just start again in July. Now, I am feeling more up to it, even with the inevitable Summer Crush as an active part of my life which is why I will be setting my goals accordingly. I have found I excel when I have writing challenges to inspire me. I love community… and usually with challenges come community. I want to know I am read, I want to know my words are valued… so I participate and mix and mingle. Right now I have two challenges in July/til the end of Summer. In July I am working on the Ultimate Blog Challenge. My goal there is specifically to build my Writing Camp and Creativity Coaching business via my casual style of Life Writing and Storytelling. I won’t be doing the hupey writing I abhor, I will be writing as me in my voice and from that, seeing who wants to play along. 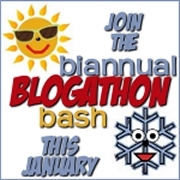 Until August, I am writing the Summer Blog Challenge which is a thematic challenge. Each day we get a topic and we write it. My primary function there is meeting new people and “warming up” to my other “real” writing every day. I have been investigating different publishing options. As a former employee of one of the “big guys” I know I don’t want a “big guy” I would rather start my own company via one of the new publishing outfits out there. My father had a publishing company when I was a kid. It was a textbook company and eventually fizzled out. I like to think I am going to build the next Hay House (a la Louise Hay) and you just never know. I do know I have enough writing to fill several books and the time is now. I would like to get something together and ready to go by the end of this 80 days. One foot in front of the other, right? Talking about it here will keep me forward moving and honest. I will continue to visit as many ROWers as possible, comment on their blogs, and tweet (go #teamsprinty) as much as possible. 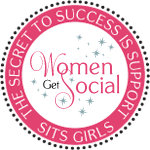 I will also continue with my WEDS Row check ins focusing on BEING a writer and the SUNDAY Row Check Ins the “Nitty Gritty Here’s Where I am with my Goals” check in. I found this kept my blog posts more interesting and added value to my fellow ROWers, which I always hope to do. My minimum goal for commenting on blogs is 3 per day. Wish I was as good as some of you out there… but know I will do my best and am wishing you lots of word-love even if I am silent with your particular blog… its just that I didn’t happen to get to you on my list. If you do comment me I will comment you in return. How do I you see yourself at the end of 2012? – Thanks to the The Summer Blog Hop Challenge, I get to contemplate more of my near future. It feels very good, actually ~ I decided to make it into a list because #1) I love lists. #2) I am in a listmaking mood. #3) It helped me stay focused and intentionally powerful with few words. Perhaps it would be wise for you to make your list? I will have traveled more with my children: explored more of the Southwest instead of plugging into the Northeast. Since Katherine started attending Smith College in Western Massachusetts, I have made more trips to New England than I ever did in the past. Thankfully I love it there, but I also feel like it is time to expose my children to more of the west since we are Californians. I will have made my first trip to Europe. Katherine is taking her senior year abroad. I am going to visit her in December and fly home with her. Fantastic! I will have more Writing Campers from more places. YAY! 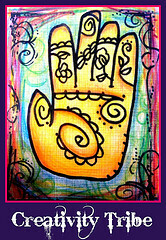 My unique writing and creativity virtual retreat/camp/space of inspiration is growing. Usually in Summer it slows. Not this year. I am grateful. I will have more books published. Love the options from CreateSpace. My children will be content educationally and socially. Each of them are having adventures in learning for which I feel so fortunate. My home will be even more welcoming than it is now. I have several projects in the works. Emma’s room, the hallway, and continuing to show my photography, my painting and more of my Women’s Sphere? projects. I want to continue to share hospitality with couch surfers. 7. I will have continued to spread my artistic wings. So excited to do more paper art. Learning to make paper is exciting me so much… more mixed media techniques here I come! I will have active spiritual practices that delight and inspire me. Morning pages, walking, art, Lectio Devina… what else? I’ll be shown! 9. I will laugh, daily. Since October of 2011 I have been actively engaged in another battle with depression. I am grateful to say I am winning. I will continue to be victorious. I will laugh, daily. I will remember to let go of attachment to outcomes – so if the ways I see myself are 1,000 times different than I write now, almost halfway through, I will know everything IS going to be just fine because with resilience it always is, it always is... just fine. Julie Jordan Scott has been a Life & Creativity Coach, Writer, Facilitator and Teleclass Leader since 1999. She is also an award winning Actor, Director, Artist and Mother Extraordinaire. She was twice the StoryTelling Slam champion in Bakersfield. She facilitates Virtual Writing Camp & will be hosting the final session of the 2011/12 season next week. Register before it is too late: Writing the Journey: Memoir, Life Writing & Travel Writing Intensive. Kate Flaherty was a lovely young woman, still in her teens, when she was woo’ed at a party in her home town, St. Louis, by the man who became her husband, Oscar Chopin of Natchitoches Parish in Louisiana. Both were from well connected families and the future looked nothing but bright for the couple. Six children followed in eight years: five boys and a girl. Kate was twenty-eight years old then, and her husband’s business was not thriving. He closed his New Orleans based business and moved to a tiny town where he managed several small plantations and owned a general store. He contracted and died of malaria, giving the then thirty-two year old Kate what is now equal to $250,000 and six children now raging in age from 4 years to 12 years. She managed what was left of Oscar’s business before leaving for her home town to live with her mother, who died a year after she arrived. The always lively Kate had an increasing depression. Thankfully, long time family friend and physician, suggested she write as a way of healing. It became more than that: it became a way for Kate to remain free: She wrote to support her children and herself. Widows didn’t have the opportunities to work nor did they have any social services to pull from, either. It was live off family or create a way to stay independent. She started with short stories and a novel. Her reputation grew. She became known as a regionalist writer, specializing in the local color of Louisiana Creoles and Acadians she had come to know while living there. Her short story collections of the early 1890’s Bayou Folk and A Night in Acadie were critically acclaimed best sellers. It was a bold move to publish the far ahead of its time novel, The Awakening, in 1899. She was shamed by many, who thought the work was inflammatory and not to be read by “right society.” It was pulled off library shelves and still occasionally has the same fate even now. She went back to writing tame short stories until 1904 when she died of a cerebral hemorrhage at the age of 53. After her death, she seemed to be forgiven by the literary community who had criticized her story of sensual awakening. In 1915, Fred Lewis Pattee wrote, "some of (Chopin’s) work is equal to the best that has been produced in France or even in America. Her writing may be described as a native aptitude for narration amounting almost to genius." 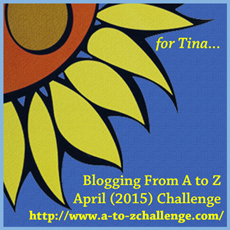 This blog post is an entry in the A to Z Challenge. Each day in April (except Sundays) I will be featuring a woman in literary history. If you click on the logo below, you will be introduced to the writing of more than a thousand bloggers writing on a wide variety of topics in April, all from A to Z! 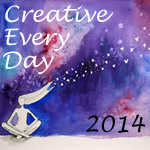 Julie Jordan Scott has been a Life & Creativity Coach, Writer, Facilitator and Teleclass Leader since 1999. She is also an award winning Actor, Director, Artist and Mother Extraordinaire. She was twice the StoryTelling Slam champion in Bakersfield. She teaches a teleclass/ecourse "Discover the Power of Writing & Telling Engaging, Enlightening Stories" which begins again April 19, 2012. Find details by clicking this link. I fell in love with Ina Coolbrith fairly recently. I can’t remember exactly how we “met” though I suspect it had something to do with her friendship with Charlotte Perkins Gilman or perhaps it was from my relentless search for writer’s homes to visit. Ina was the first poet laureate of California so she had homes here in California. She lived in Oakland and San Francisco with a childhood spent in Los Angeles, so there began my search and my “romance” with all things Ina. None of her homes in Oakland exist anymore. They have been torn down to make way for businesses in China Town or other office buildings. She was always a pioneer. She was the first Anglo Girl Child to cross into the state of California via covered wagon when she was ten years old. She attended the first elementary school in Los Angeles. She was the first person to write a Commencement Ode for the University of California, Berkeley. She was the first woman member of the San Francisco Bohemian Club. She was the first librarian for the Oakland Public Library. Jack London called her his “literary mother” and she spent time mothering the daughter of fellow Bay area poet, Joaquin Miller, who was busy traveling and being his even more eccentric self. The baby girl, Calle Shasta, was literally left on her doorstep as Miller left town, perhaps during the visit to Byron’s tomb with a wreath of laurels Ina had crafted specifically for that purpose. She also had a positive impact on the then-young Isadora Duncan, who was a neighbor in Oakland. In the 1906 earthquake in San Francisco, her home at 1704 Taylor was destroyed. Her papers were burned. This included manuscripts she was working on at the time including her memoirs and letters. She fell into a depression after this enormous loss. Her friends rallied and had a new house built for her as a gift from them. Can you imagine? Her older years were spent in San Francisco where she spoke and wrote and continued to influence many. There is a park in San Francisco bearing her name which has one of the most phenomenal views I have ever seen. It faces east, toward Oakland – which was her home for so many years. I will continue my friendship with Ina, I imagine, for the rest of my life.